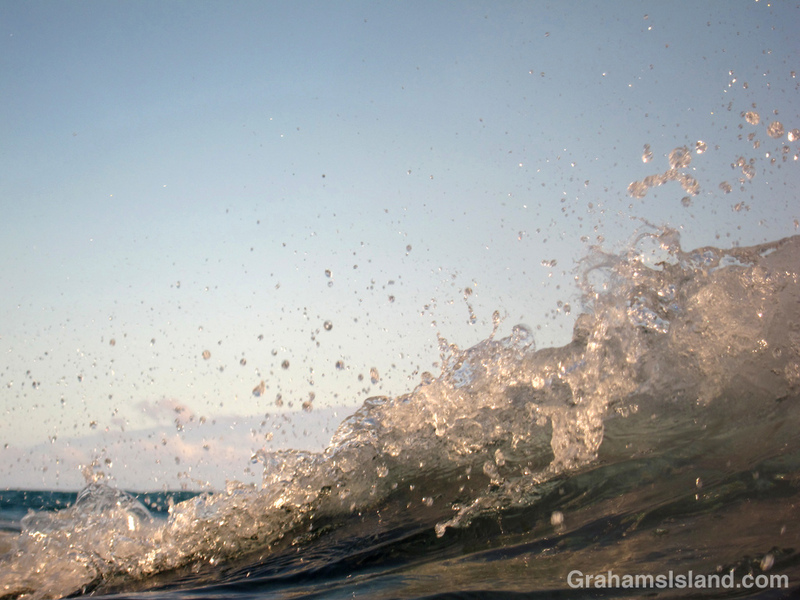 In a previous photo challenge, I posted a photo of a ‘mountain of water.’ I’d been trying to capture waves breaking toward me and though that one didn’t break, it provided a surprising photo. I mention this because a couple of days ago I was snorkeling and the surf was higher than I expected with visibility in the water consequently poor. I figured I wasn’t going to get any decent fish photos, but I thought I might get a nice surf shot. So I headed toward a deep spot close to shore where I could see the waves breaking toward me. I got to the spot and popped my head out of the water just in time to see a large breaking wave racing my way. It was probably the perfect shot, but sad to say, I lost my nerve. This was a big wave. I swam away, too late of course, and ended up in a froth of whitewater, pushing into my mask and up my nose. And then it was past. I had to laugh. Truth is, I was never in danger. There’s enough space where I was that even this bigger wave wasn’t going to trouble me. But for that fleeting moment, I had serious doubts. And this photo? Well, if the ‘mountain of water’ was too small, and my recent encounter too big, this wave was just right.